This is part 1 of a 2 part podcast series with 300 Pounds and Running on this viral letter to Race Directors. Check out RunEatRepeat.com for pics of Martinus Evans, his favorite gear & shoes. And I’m challenging you to see things from another point of view. Follow @RunEatRepeat on Instagram so you don’t miss a thing! Today I’m talking to Martinus Evans from 300 Pounds and Running and we’re doing something different – this is part 1 of 2 episodes. We’re splitting it because we were set to talk about his recent article that went viral – AN OPEN LETTER TO RACE DIRECTORS FROM THE BACK OF THE PACK. But we started by talking about how he found running, weight loss and setbacks after his first marathon… And I think his running journey is really important. And he’s had set backs – but kept going. It’s super important for us to remember – keep going with whatever set backs we face. There will be setbacks. Success is determined by how you handle set backs. New here? I’m Monica Olivas – and I created RunEatRepeat.com to document training for my first full marathon and weight loss journey. 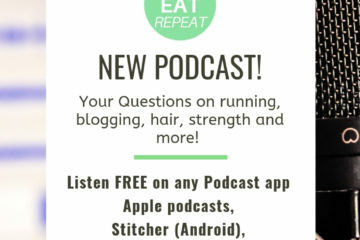 While I was sharing my life the site grew an amazing community of runners, eaters and virtual friends all over the world and now it’s this podcast! 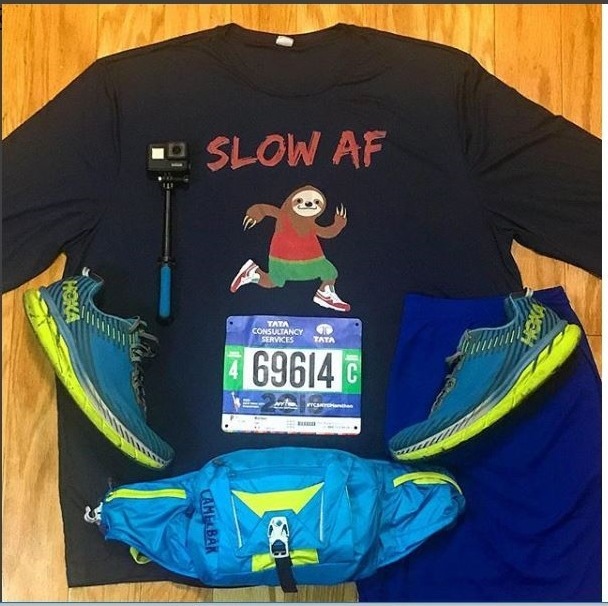 Check out Run Eat Repeat.com for more and follow @RunEatRepeat on Instagram for more. Imagine if all day today (or tomorrow if it’s late) you tried to see everything from someone else’s view? Every interaction you have today – put yourself in the other person’s shoes and listen carefully. Then, put yourself in their position and try to feel how they feel… see it exactly how they see it – NOT how they should see it. Try to understand them – not judge them. Understand –how they see you, how they see the world, how they much feel… before you respond. We’re all just doing our best. And when someone is doing something that you think is wrong, or weird, or unhealthy or whatever… there is a reason why. It’s really hard to be friends with someone or help them if you’re busy judging them. So today I challenge you to slow down and observe with a super open heart – who the people around you truly are. And part of me is saying this because that talk really stuck with me and I think it’s important. But also – I realized that I identify with Martinus. I feel like I’m like him. I get it. I feel overweight – or like I’ll always identify as chubby (see my post on why I’ll always think I’m fat). And I like that. I like that I feel like I connect with certain people because we’re the same on this deep level of how we experienced parts of life. And it made me sad to think people are mean because they don’t get it and don’t identify with us. Then, I realized that … it’s easy for me to be compassionate towards someone I identify with. The real challenge would be to try and understand someone I disagree with or have nothing in common with. 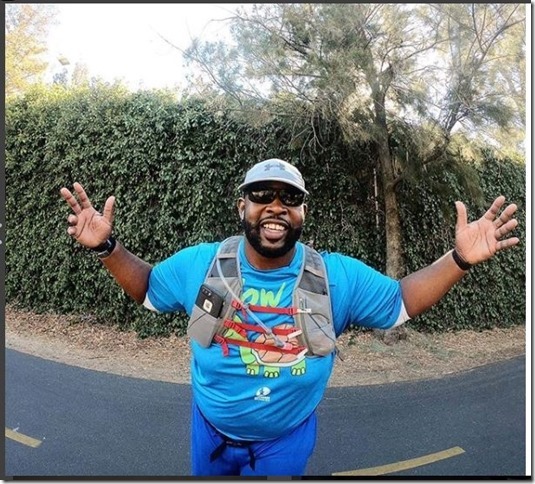 Martinus Evans is the founder and voice behind the blog and podcast 300 Pounds and Running. 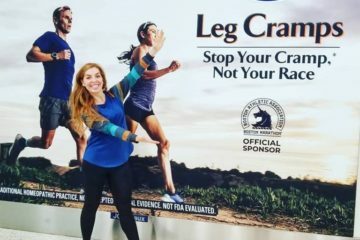 It’s been featured in Runner’s World, Self.com, Live Strong, Shape Magazine and more. 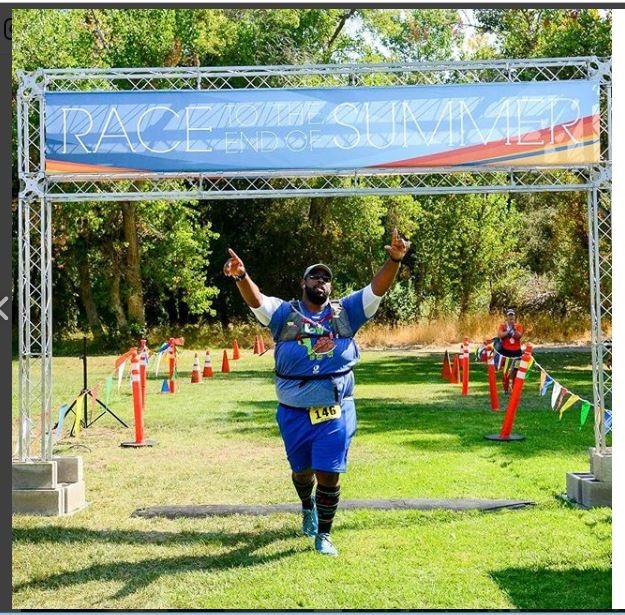 He started running in 2012 after his doctor called him fat and laughed when he said he was going to run a marathon. Since then he’s run over 30 races and has been an inspiration for larger runners worldwide. Lately, he has been the talk of the running community with his recently published article: AN OPEN LETTER TO RACE DIRECTORS FROM THE BACK OF THE PACK – we’re getting into that next time! Decided to run a marathon after a doctor told him he was overweight. He started with a couch to 5k training plan. And he built up his fitness and eventually ran a 10K, half marathon and a full marathon. Then, he got into 2 big car accidents and couldn’t run for a year. He gained all the weight back and had to start all over again. And now he’s back! After being benched for a year, then an injury… he was determined to get back to the runner he knew he was. He just ran the NYC Marathon! We’re talking about his journey from a scary doctor’s visit to running a full marathon and losing the weight, gaining it back and how he got back better than before! 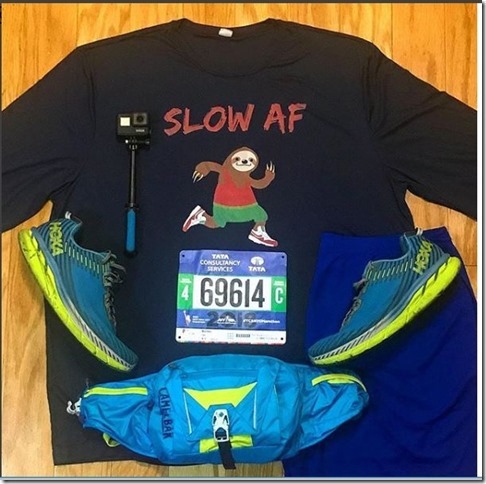 that went viral because of it’s in-your-face tone and because it resonated with so many runners. I wanted to give him a chance to share his point of view on how back of the pack runners are treated at races and by some other runners. But – we ended up talking about running and weight loss to start and it runs kinda long so this is going to be a 2 part series. 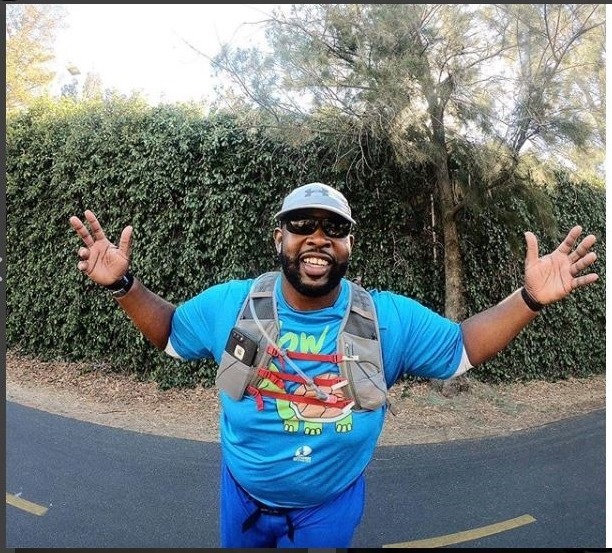 Today it’s about his story of becoming a runner, losing weight, having major setbacks and eventually getting back to the sport. Next time we’ll talk about his open letter blog post. There’s just so much! Going from Couch to 5K to Couch to 10K to eventually running a marathon. – He used various apps to find the best training plan for his needs. Tips for new runners – and the things he had to figure out for himself. 10K to half marathon and eventually a full marathon. Why running a marathon isn’t a good way to lose weight. We both share how we gained weight while marathon training. Post-race blues after his first marathon. What stopped him from running for over a year. Why weight loss isn’t his focus now. RER: How much weight did you lose when you ran the full marathon? RER: I’ve found running a full marathon isn’t super helpful to weight loss. Was that your experience? Evans: … Most of his weight loss came during training for the 5K and 10K runs. > What are your favorite running shoes? > Must Have Running Gear? > What did you listen to on your last run / workout? > What’s your favorite post-run / post- race victory lap? If your have 10 seconds – tag @RunEatRepeat on instagram and tell me what you’re doing while listening . If you have 13 seconds – subscribe to the show. If you have 26 seconds – rate the show in your podcast app. If you have any seconds after that – text a family member and tell them you love them.